Young Audiences New Jersey & Eastern Pennsylvania (YA) received funding from The Doris Duke Foundation for Islamic Art to launch United We Create (UWC). This first of its kind project, aims to develop new programs in a comprehensive model with a goal to promote understanding between Muslim and non-Muslim students, families and educators and to educate non-Muslim communities about Islamic cultures through the arts in a school-based setting. The focus of these programs is educating audiences about the arts and cultures of Muslim countries and people who contribute to the remarkable diversity of our country. 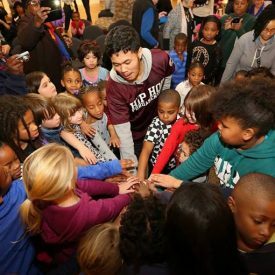 In response to the rise in anti-Muslim sentiment, the U.S. Department of Education posted an article, “Protecting Our Muslim Youth from Bullying: The Role of the Educator,” encouraging schools to promote anti-bias learning, and implement bullying prevention strategies to reduce discrimination against Muslim students and build bridges across cultural divides. United We Create is designed to use the arts as a school-based intervention to educate, connect, and raise awareness about Islamic culture throughout the world. We are seeking teaching artists to develop (or adapt an existing program) and implement interactive experiences to be included in the United We Create project. Participating schools will experience programming including: two performances, two days of workshops (8 workshops total), two days of professional learning for teachers, and an evening community event. Programs should be appropriate for students in grades k-8. Programs must be rooted in artistic content connected to the Muslim diaspora or Muslim-related traditions, such as storytelling, poetry, visual arts and more. Art forms can be traditional or modern. Program content must deepen student, teacher and parent understanding of Islamic art and culture through creative arts experiences. In addition, programs must address issues related to anti-Muslim bias in an age-appropriate manner. Once developed, programs are required to have accompanying educational materials that support artistic content and elaborate on the content of the art and intervention approaches. Materials will be developed in collaboration with YA staff and the teaching artist. Concepts for material development should be considered in program development. Materials could include activity books, posters, CDs, digital platforms, etc. The goals of the materials are to reinforce the topics covered during programming and to further extend the program to families. Directly engage with artists and other individuals who are Muslim, developing new understanding through shared positive experiences of cultural discovery. Increase cultural competency and become more aware and accepting of other cultures and backgrounds. Increase understanding about the diversity within the Muslim world. Gain knowledge and understanding of modern and historical folklife, traditions, and history in Muslim-majority regions. Experience life-enriching, culturally relevant and innovative arts programming. Engage in dialogue about cultural similarities and differences and how it relates to school communities. Experience professional learning to integrate arts-based anti-bias education into teaching practices. Increase cultural competency and become aware of personal bias. Performances should showcase the art form and reinforce anti-bias learning goals. Performances should be approximately 45 minutes. Workshops will offer children the chance to engage in hands-on art-making to better understand social, artistic and intra-cultural differences in Muslim communities. Workshops should also build awareness and appreciation of cross-cultural similarities and employ anti-bullying character development themes. Each day of workshops consists of 4 workshops and each workshop should be 45 minutes. Family workshops will engage parents and children together in interactive artistic & cultural experiences. Family workshops will open with an “icebreaker” activity followed by a main arts activity and time for sharing with the group. Family workshops are a single workshop lasting 90 to 120 minutes. Professional Development workshops may include partnerships with anti-bias organizations. Content will help teachers embrace cultural competency through the arts and its applicability to their pedagogy. Length of professional learning workshops vary but are typically 90 minutes to 3 hours. In Year 1, selected artists or ensembles will be paid a stipend of $2,000-$6,000 for program design and development, depending on the number of program components selected. This stipend will cover time and travel for all pieces of program design and development, attending meetings with YA regarding this program, attending a professional learning workshop (see below), and other costs related to program design and development. There is a limited budget available for production costs; if needed, please note an approximate amount in your proposal. Artist fee for 2 back-to-back performances can be up to $1,400, depending on if you are a single artist or ensemble. We request that you list your desired artist compensation for performances in your proposal. The typical running time for a YA school day performance is 45 minutes. Artist fee for workshops is $325/day for 4 workshops/day. Workshops are typically 45 minutes. Artist fee leading for a professional learning is $325/day for a 3-4-hour workshop. Artist fee for a family workshop is $325 for a 90 to 120-minute workshop, typically in the evening. 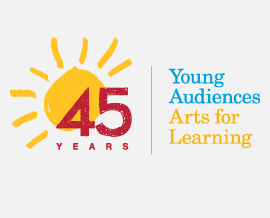 Selected artists will attend an in-person professional learning session with YA staff and consultants to ensure artistic and educational quality, identify outcomes, and integrate the four core elements of YA programming: experience, understand, create, and connect. YA will provide support for cultural competency, anti-bias content and continued development of your proposed UWC program. This professional learning will take place during the first week of December 2018, tentatively on Wednesday, December 5, 2018. Artists will fully develop proposed program components with support of YA staff/consultants in the 2018-2019 school year. Program implementation will take place in the 2019-2020 and 2020-2021 school years. YA also anticipates adding these programs to our offerings to schools outside of the UWC program. The proposal deadline is Monday, November 5, 2018 at 3pm. Proposals will be reviewed in early November 2018 and artist selected for program development will be contacted by Nov. 12. For more information about YA and our current artists and programs visit yanjep.org. Questions? Contact: TAHIRA at [email protected] or Liz Winter-Kuwornu at [email protected]. Please take note that in order to officially submit a proposal to Young Audiences Arts for Learning, you must complete the online form.